Card Games are sometimes nice to play since they generally take very little time to set-up and take back down. As such, you don't have to worry about the pre-game time that a miniatures game or even many board games have. 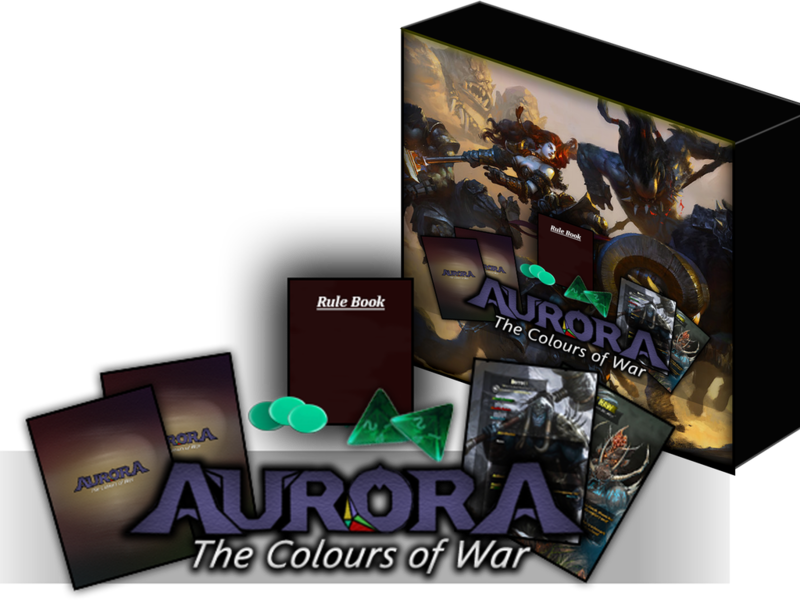 Well, Aurora is a new card game looking to make a name for itself in this highly-competitive market. They're up on Kickstarter now. The game is billed as a sort of mix between Hearthstone and Magic: The Gathering. Players play creatures out in front of them. However, placement is important, since monsters can only attack directly across, or to across and one-over from where they are. The game also uses dice as a bit of a random element added to things. The campaign is up and running now and is set to do so for another 22 days.